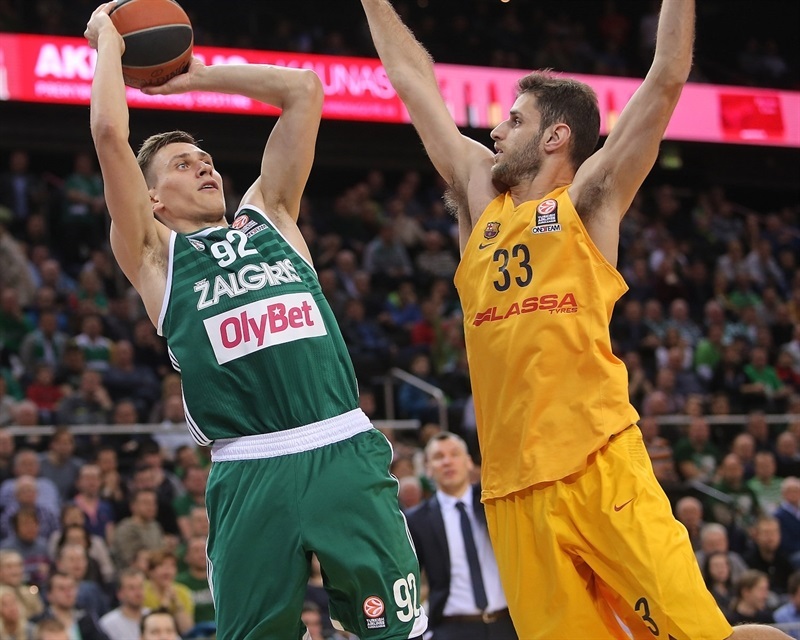 FC Barcelona Lassa advanced to the Turkish Airlines Euroleague playoffs and locked up third place in Top 16 Group F by downing Zalgiris Kaunas 59-66 on the road on thursday. Barcelona finished the Top 16 with an 8-6 record. 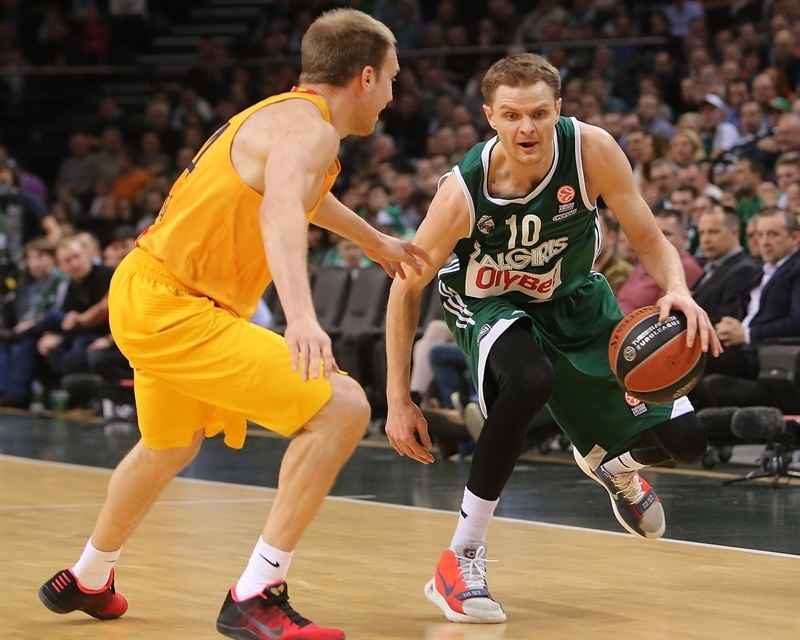 The result also eliminated Olympiacos Piraeus and Brose Baskets Bamberg from playoff contention. Zalgiris finished Group F with a 2-12 record. 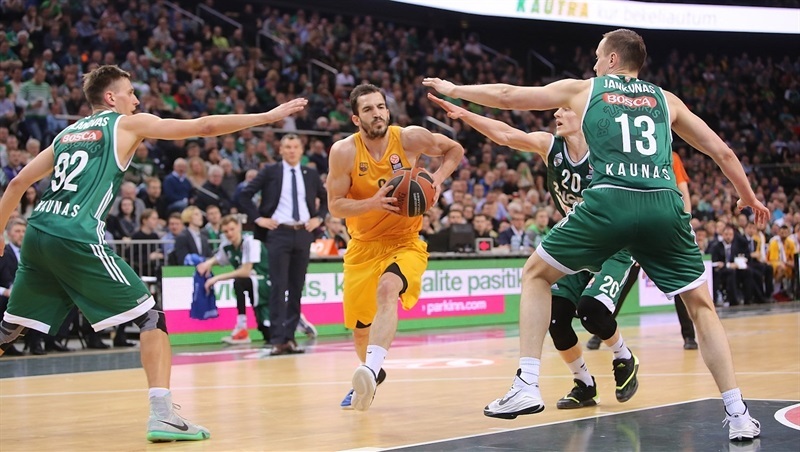 Pau Ribas returned from injury to lead the winners with 14 points, all in the second half. 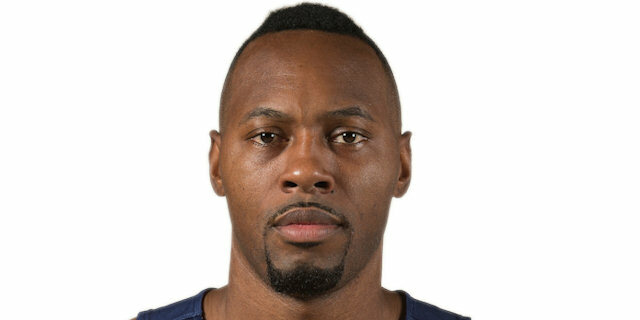 Joey Dorsey added 12 and 13 rebounds, while Juan Carlos Navarro had 10 points for Barcelona. 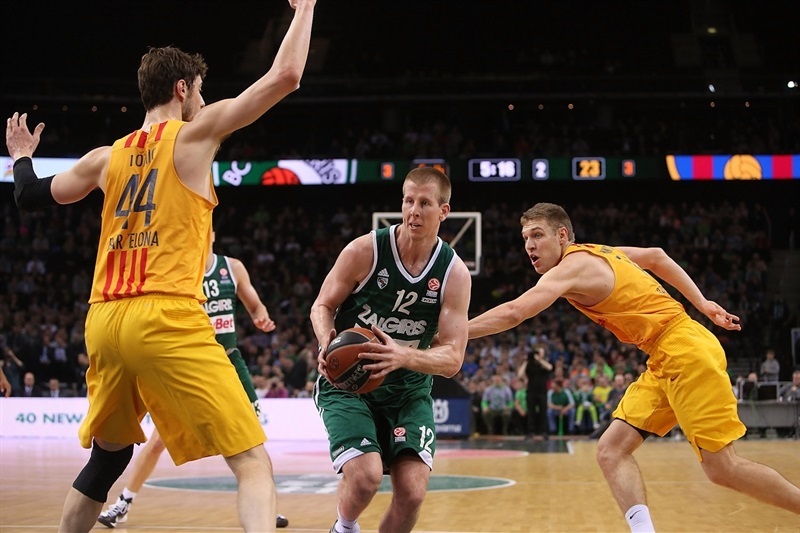 Kaspars Vecvagars led Zalgiris with 13 points, a new Euroleague personal best. Paulius Jankunas added 11 and 9 rebounds and Renaldas Seibutis had 10 points for the hosts. 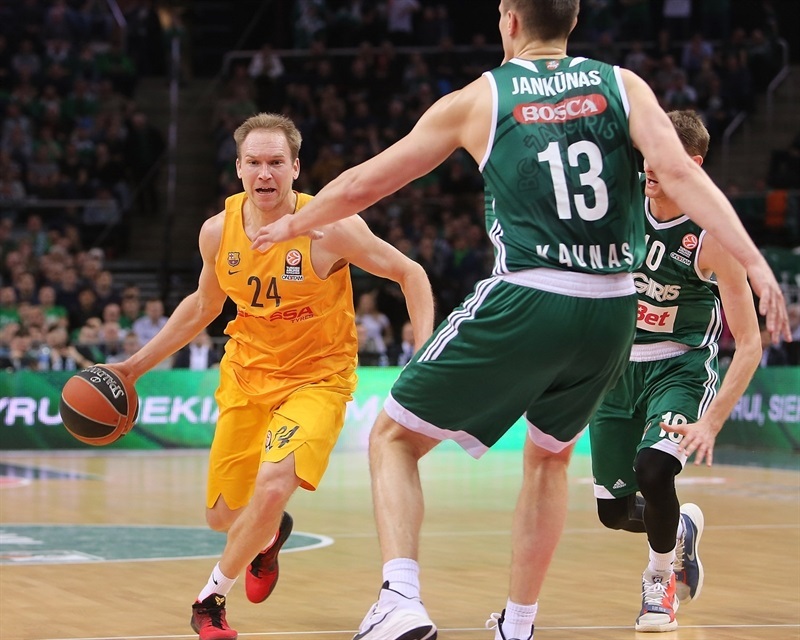 Jankunas and Seibutis shined early to give Zalgiris a 14-7 lead. A 0-7 run, which Alex Abrines capped with a fast break layup, tied the game at 16-16 after 10 minutes. Zalgiris found a new go-to guy in Edgaras Ulanovas, who got help from Seibutis to give the hosts a 34-28 lead at halftime. 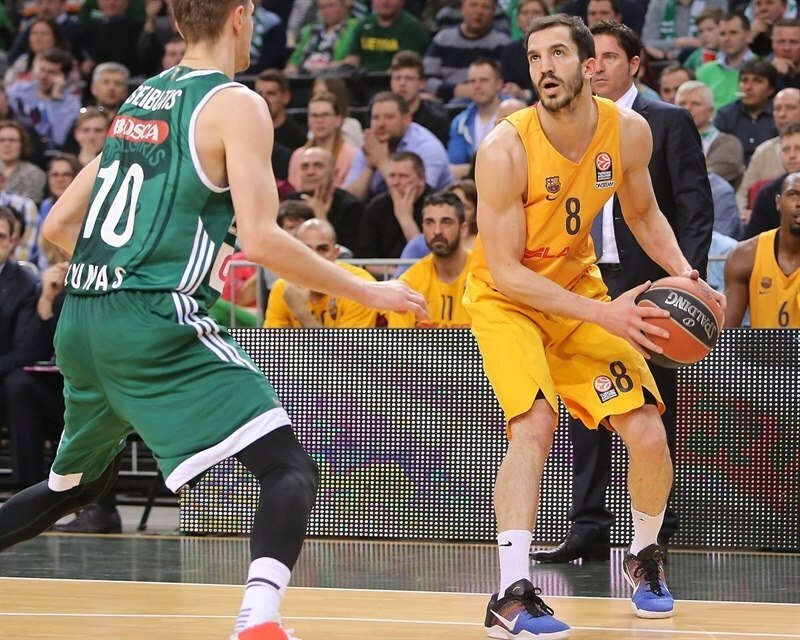 Ribas struck three times from downtown to give Barcelona a 48-49 edge through three quarters. Barcelona improved its defense when it mattered and a step-back jumper by Ribas and a dunk off a steal by Abrines sealed the outcome down the stretch. 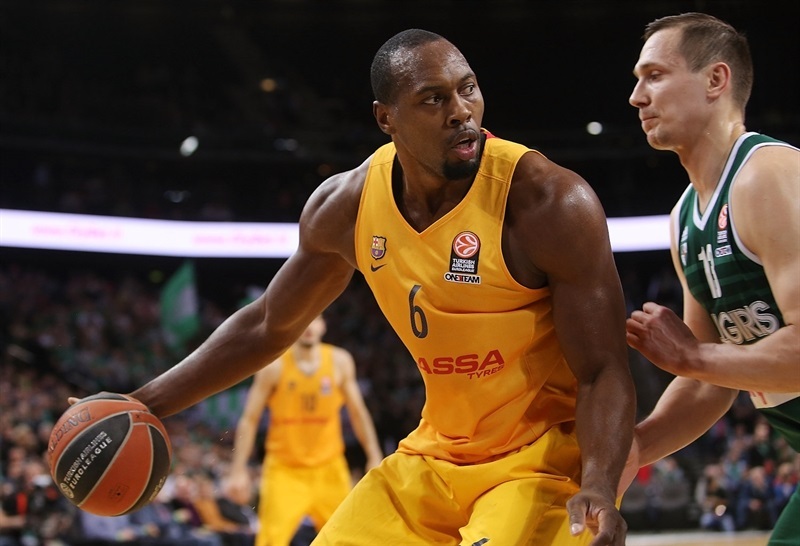 Joey Dorsey got Barcelona going with a layup, which Paulius Jankunas bettered with a three-pointer for a 3-2 Zalgiris lead. Tomas Satoransky split free throws and a turnaround jumper by Jankunas put the hosts back in charge. Justin Doellman hit a jumper off a screen, but Renaldas Seibutis bettered that with a bomb from downtown and added a fast break layup, after which Barcelona called timeout down 10-5. Dorsey tried to change things with a power layup, but Jankunas hit his trademark jumper from the elbow and a big basket by Siim Sander-Vene boosted Zalgiris's lead to 14-7. Dorsey stepped up with a put-back slam and soon added a two-handed dunk to bring Barcelona within 3. Dorsey split free throws and a driving layup by Alex Abrines tied it at 14-14, after a 0-7 run. Ian Vougioukas buried a jump hook, but a driving layup by Satoransky tied the game again at 16-16 after 10 minutes. Jerome Randle buried a five-meter jumper early in the quarter, as Barcelona was held scoreless for more than two minutes. Juan Carlos Navarro stepped up with his trademark bomba, which Brock Motum erased with a reverse layup. Ante Tomic shined with a driving layup to tie it at 20-20. 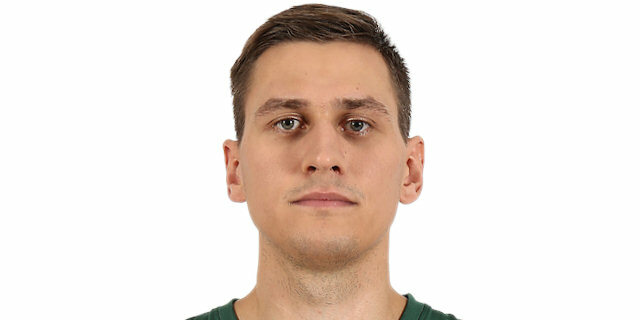 Jankunas scored around the basket before Edgaras Ulanovas took over with a put-back basket - and the free throw that came with it – for a 25-20 Zalgiris lead. Navarro struck from downtown and erased Motum's layup with another bomba to bring his team within 2. Ulanovas hit foul shots and a fast break layup by Seibutis made it 31-25. 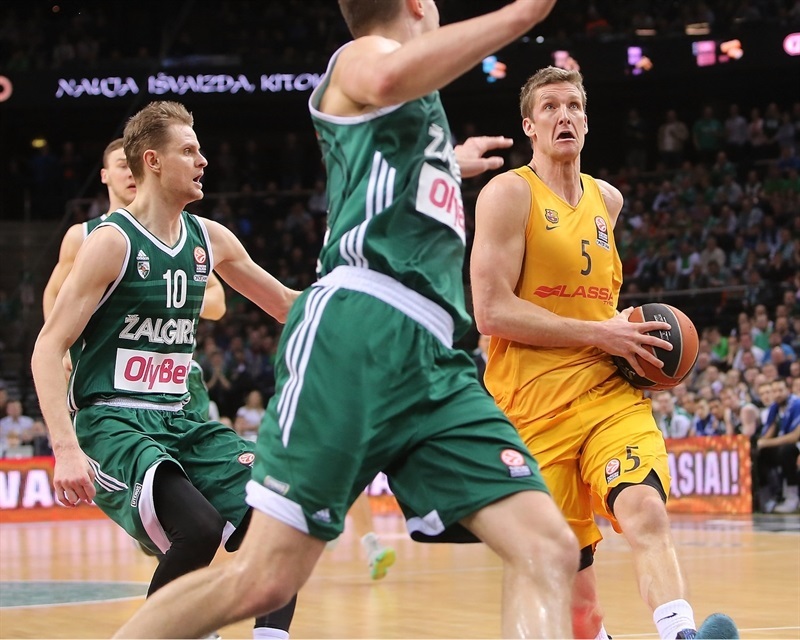 Barcelona could not find the way to the basket until Doellman took over with a fast break layup. Dorsey split free throws, but Jankunas and Seibutis pushed Zalgiris to a 34-28 advantage at halftime. Both teams struggled to score after the break until Navarro buried one from beyond the arc. 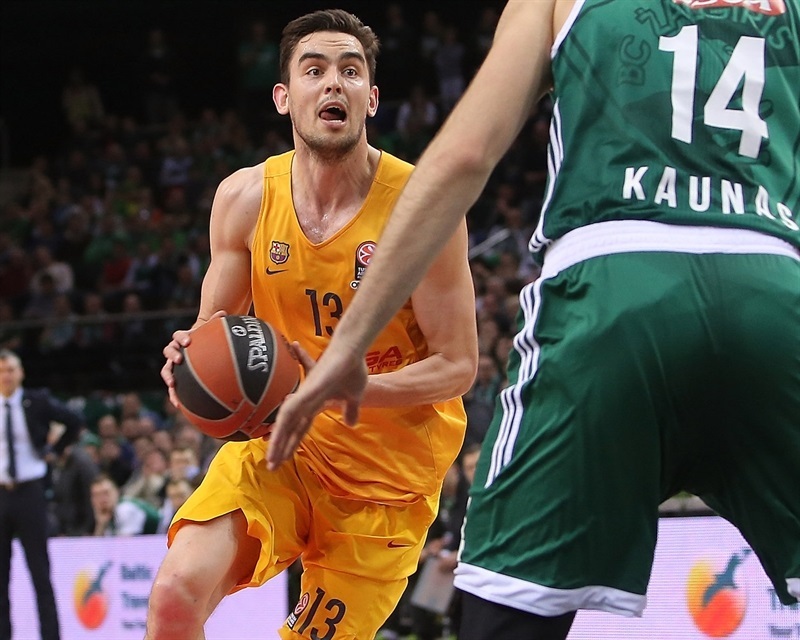 Kaspars Vecgavars answered from downtown, but a tip-in by Dorsey and a close basket by Satoransky brought Barcelona within 37-35. Satoransky kept pushing the visitors with a three-point play that put his team back ahead at 37-38. Seibutis and Vene made free throws to restore a 41-38 Zalgiris lead midway through the quarter. 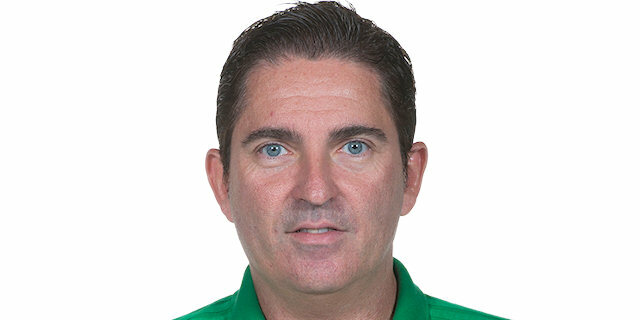 Abrines provided a highlight with a driving layup off the baseline and Ribas followed with a three-pointer in transition, which prompted the hosts to call timeout at 41-43. Randle tried to change things with a jumper of the dribble and free throws by Vougioukas put Zalgiris back ahead, 45-43. Ribas insisted from downtown and erased Vecvagars's three-pointer with another one from beyond the arc to give Barcelona a 48-49 edge. Carlos Arroyo hit a jumper early in the quarter, which Stratos Perperoglou followed with a big basket off the baseline for a 48-53 Barcelona lead. 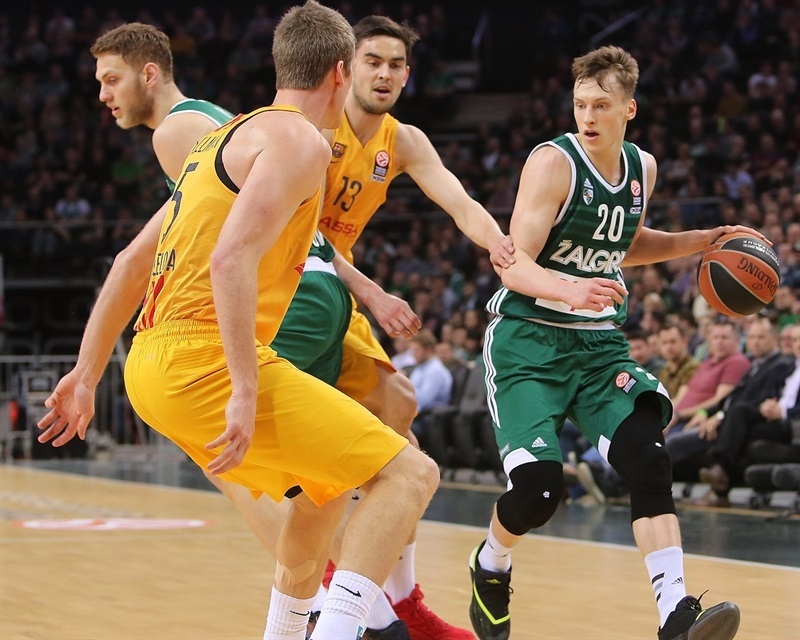 Zalgiris kept struggling to score against Barcelona's physical defense until Ulanovas stepped up with a fast break layup. Randle scored off an inbounds steal, but Perperoglou matched that with foul shots and Ribas buried another triple to make it 52-58. Vecvagars answered from downtown, but a floating layup by Arroyo and a free throw by Perperoglou kept the guests out of trouble, 55-61. Vecvagars shined with a driving basket, but didn't find much help. A step-back jumper by Ribas practically sealed the outcome at 57-63 with 49.4 seconds left. Zalgiris called timeout, but Abrines collected a steal off the inbound pass and dunked to signal to the Barcelona fans that it was time to celebrate. 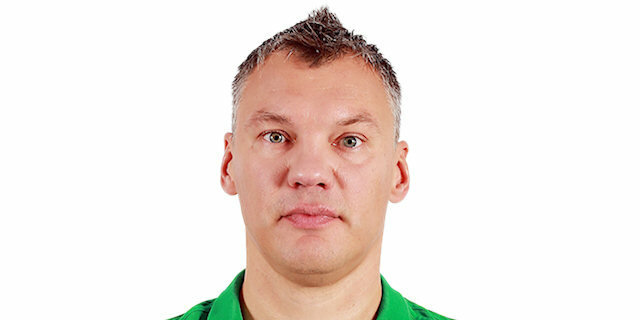 "It‘s disappointing that we couldn‘t finish our Euroleague season with a victory. The guys fought hard and I couldn‘t ask more from them. It‘s very hard to stop FC Barcelona and allow them to score just 66 points. The guys gave everything they had, but we had some chances which weren‘t realized. We had open shots and for the most part of the game we were in front, but couldn‘t keep our lead." "First of all we are happy for this win because it‘s very important for us and now we clinched a spot in the playoffs. This game wasn‘t very good for us. We made a lot of turnovers. In the first half we made 11, but in the second half we showed balanced defense and offense and took a victory at the end of the game." "I think tonight two equal teams faced each other. We were prepared for the battle against FC Barcelona. We didn’t have the chance to make the playoffs, but despite that we fought hard and wanted to win, but at the end of the game our opponents made some important shots and we couldn‘t respond. They stayed calm at the end of the game and grabbed an important victory." "The key reason for the victory was rebounding. 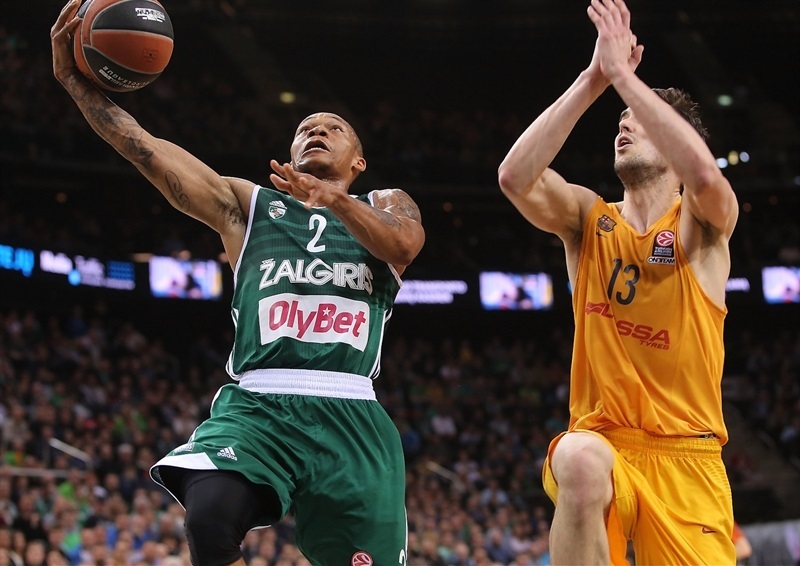 We missed a lot of open shots in the first half and Zalgiris played good defense. In the second half shots started to fall for us, we controlled the boards and felt our game, which allowed us to grab a victory here in Kaunas."